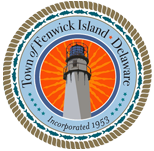 The Town of Fenwick Island posts employment opportunities when openings become available. If you are interested in a position with the town, you are welcome to forward a cover letter and resume. We will keep them on file for one year and contact you should an opening occur. Thank you for your interest in The Town of Fenwick Island. The Fenwick Island Police Department is staffed by seven sworn officers. The Fenwick Island Beach Patrol welcomes your application! Try-outs are held late May and you will be contacted as to time and date.